www.downloadslide.com Chapter Fifteen Organizational Change 435 generate a collective vision or sense making about the organization and its future. This “meaning-making” process is important for the organization’s evolving identity and how participants relate to that identity. Large group interventions have occurred in a variety of companies and industries. Emerson & Cuming’s chemical manufacturing facility in Canton, Massachusetts, held a large group summit in which managers, supervisors, and production employees were organized into five stakeholder teams to identify initiatives that would improve the plant’s safety, efficiency, and cooperation. Lawrence Public Schools in Kansas conducted a large group session involving parents, teachers, students, community partners, and other stakeholders to help the board allocate resources more effectively. “The goals that were developed at the future search conference reflect what the community envisioned for its school district,” said Randy Weseman, who was superintendent at the time. Those goals subsequently became the foundation of the board’s strategic decision making. 79 Future search meetings and similar large group change events potentially minimize resistance to change and assist the quality of the change process, but they also have limitations. 80 One problem is that involving so many people invariably limits the opportunity to contribute and increases the risk that a few people will dominate the process. In addition, these events focus on finding common ground, and this may prevent the participants from discovering substantive differences that interfere with future progress. A third problem involves the high expectations generated from these events about an ideal future state that are difficult to satisfy in practice. Employees become even more cynical and resistant to change if they do not see meaningful decisions and actions resulting from these meetings. parallel learning structure a highly participative social structure developed alongside the formal hierarchy and composed of people across organizational levels who apply the action research model to produce meaningful organizational change PARALLEL LEARNING STRUCTURE APPROACH Parallel learning structures are highly participative arrangements composed of people across organizational levels who apply the action research model to produce meaningful organizational change. They are social structures developed alongside the formal hierarchy with the purpose of increasing the organization’s learning. 81 Ideally, participants in parallel learning structures are sufficiently free from the constraints of the larger organization that they can effectively solve organizational issues. Royal Dutch/Shell relied on a parallel learning structure to introduce a more customerfocused organization. 82 Rather than try to change the entire organization at once, executives held weeklong “retail boot camps” with teams from six countries, consisting of frontline people (such as gas station managers, truck drivers, and marketing professionals). Participants learned about competitive trends in their regions and were taught powerful marketing tools to identify new opportunities. The teams then returned home to study their markets and develop proposals for improvement. Four months later, boot camp teams returned for a second workshop, at which each proposal was critiqued by Royal/Dutch Shell executives. Each team had 60 days to put its ideas into action; then the teams returned for a third workshop to analyze what worked and what didn’t. This parallel learning process did much more than introduce new marketing ideas. It created enthusiasm in participants that spread contagiously to their coworkers, including managers above them, when they returned to their home countries. 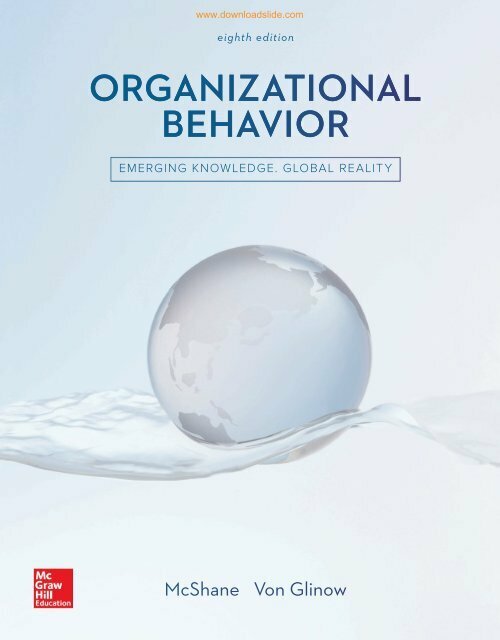 Cross-Cultural and Ethical Issues in Organizational Change 15-6 Throughout this chapter, we have emphasized that change is inevitable and often continuous because organizations need to remain aligned with the dynamic external environment. Yet, we also need to be aware of cross-cultural and ethical issues with any change process. Many organizational change practices are built around Western cultural assumptions and values, which may differ from and sometimes conflict with assumptions and values in other cultures. 83 One possible cross-cultural limitation is that Western organizational change models, such as Lewin’s force field analysis, often assume change has a beginning and an ending in a logical linear sequence (that is, a straight line from point A to point B).